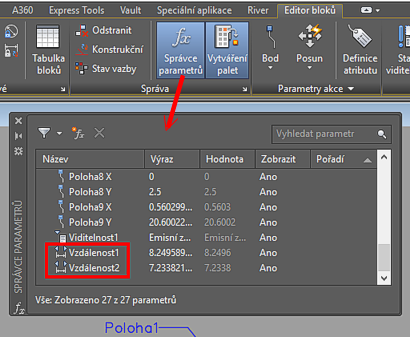 CAD Forum - How to reorder custom properties in a dynamic block? How to reorder custom properties in a dynamic block? When you create a dynamic block with parameters (custom properties), these parameters are by default ordered in the order you have created them. 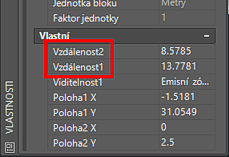 After you insert (reference) such block, its parameters/properties are listed (e.g. for cycling or in the Properties palette) in the creation order. Logically related parameters (e.g. Width, Height) can be listed "far away" from each other and their subsequent modifications are difficult. Use the following procedure you can change the order of custom properties and geometric parameters of a dynamic block. Launch the dynamic block editor (BEDIT) and open the requested block. Click on the icon "Parameters Manager" (fx) on the Manage tab in the "Block Editor" ribbon (or type the command PARAMETERS). 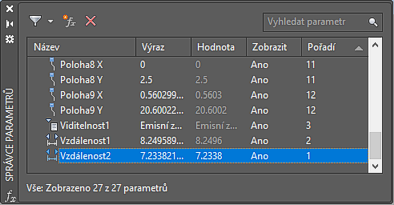 This will open the palette PARAMETERS MANAGER (Spravce parametru). In the palette, display the column Order (Poradi) - it may be hidden on the right. If it is not displayed, right-click on the heading bar and enable it by checking it. In the dafault state, the Order column is empty. 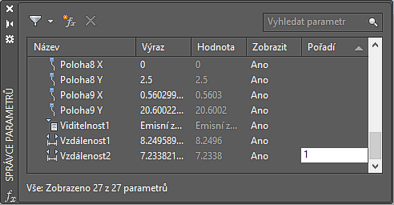 All other order values for other parameters will be filled-in automatically. Edit the other order values as needed for other manually ordered parameters/properties. Save the updated block (Close Block Editor). This procedure cannot be used to change order of attributes in a standard block. Selected tip: Scene rendering run from Windows Explorer context menu. Measuring suddenly doesn't work in AutoCAD or DWG TrueView. « | » Trim to rectangle - cut out a part of a DWG drawing.